Need to darken a room? Our 3/8 inch double cell blackout cellular shades are the perfect fit! These shades are available in a 3/8 double cell shade or a more contemporary 3/4 single cell. Darken any room in a office or home up to 85% more! 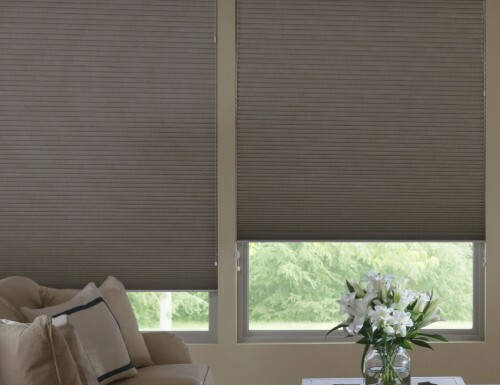 These honeycomb cellular shades are available in a wide range of different colors to choose from, making the color coordination to any room a simple task! This room darkening double cellular shade has a mylar liner on the inside of the shade. W: 12" 13" 14" 15" 16" 17" 18" 19" 20" 21" 22" 23" 24" 25" 26" 27" 28" 29" 30" 31" 32" 33" 34" 35" 36" 37" 38" 39" 40" 41" 42" 43" 44" 45" 46" 47" 48" 49" 50" 51" 52" 53" 54" 55" 56" 57" 58" 59" 60" 61" 62" 63" 64" 65" 66" 67" 68" 69" 70" 71" 72" 73" 74" 75" 76" 77" 78" 79" 80" 81" 82" 83" 84" 85" 86" 87" 88" 89" 90" 91" 92" 93" 94" 95" 96" 0/0"1/8"1/4"3/8"1/2"5/8"3/4"7/8" H: 8" 9" 10" 11" 12" 13" 14" 15" 16" 17" 18" 19" 20" 21" 22" 23" 24" 25" 26" 27" 28" 29" 30" 31" 32" 33" 34" 35" 36" 37" 38" 39" 40" 41" 42" 43" 44" 45" 46" 47" 48" 49" 50" 51" 52" 53" 54" 55" 56" 57" 58" 59" 60" 61" 62" 63" 64" 65" 66" 67" 68" 69" 70" 71" 72" 73" 74" 75" 76" 77" 78" 79" 80" 81" 82" 83" 84" 85" 86" 87" 88" 89" 90" 91" 92" 93" 94" 95" 96" 97" 98" 99" 100" 101" 102" 103" 104" 105" 106" 107" 108" 109" 110" 111" 112" 113" 114" 115" 116" 117" 118" 119" 120" 0/0"1/8"1/4"3/8"1/2"5/8"3/4"7/8"
I have a couple of questions regarding this shade. First, if I were to order it in Golden Rod, will the head rail also consist of the same color? If not, then wouldn't it look awkward? Second, do you also carry the 3/4" version in Golden Rod? The Blackout cell shade fabric in Goldenrod is only available in the 3/8" pleat. It is not available in 3/4". We do have other 3/4" single cells in blackout such as the Energy Guard in Golden Creme or Empire Yellos. Very happy, easy install, exactly as they state, very happy with my purchase. Very happy, easy install, exactly as they state, very happy with my purchase. Only thing I suggest is get optional hold down, no way to anchor the bottom without no chance to change your mind without it. Perfect! Exactly what we wanted! Look great and fit perfectly. We did feel that the price was just a bit higher than we expected, but they are very high quality shades. When they say "blackout" they really mean it! When they say "blackout" they really mean it! Easy to install and the quality is above others that I had ordered in the past. Great looking blinds with a great sun blocking feature. Great looking blinds with a great sun blocking feature. Satisfied with the look and style. Note: Cell shade continuous cord loop headrails are a white headrail with a matching insert. Note: Two separate cords on opposite sides of the shade. Can only come with lift cord on the right and the top down cord on the left.